New Chief of Staff John Kelly ousted financier Anthony Scaramucci as communications supremo. It’s a good first step in reining in the chaotic U.S. presidency. But the bigger task for the retired general is disciplining America’s CEO, Donald Trump. That battle may not be winnable. 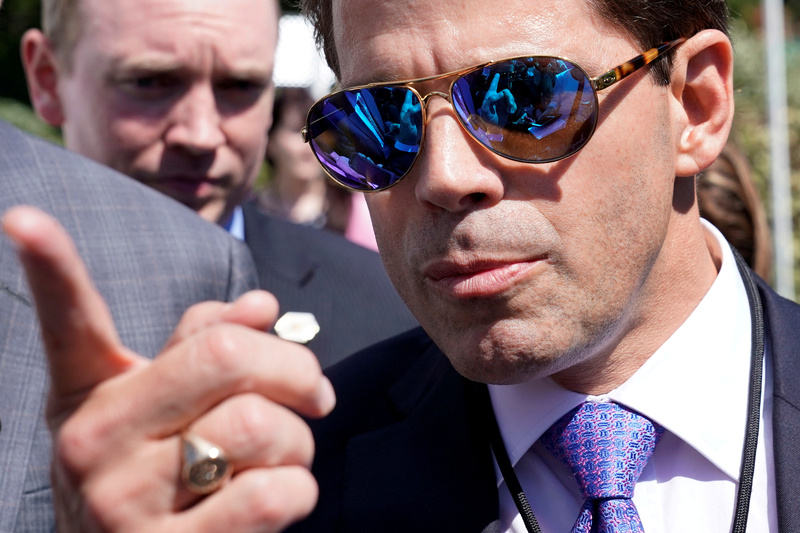 Anthony Scaramucci talks to the media outside the White House in Washington, U.S., July 25, 2017. SkyBridge Capital founder Anthony Scaramucci has been ousted as White House communications director, the New York Times reported on July 31. The move was requested by John Kelly, who was appointed chief of staff for President Donald Trump on July 28. He’s the former secretary of the Homeland Security Department and a retired Marine Corps general. White House Press Secretary Sean Spicer resigned on July 21 because of Scaramucci’s appointment.